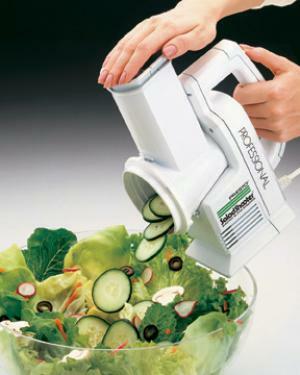 Slice or shred vegetables, fruits, cheese, nuts and more for great salads, soups, pizzas, tacos, and desserts. This professional-sized slicer/shredder offers added power and capacity. It also includes a handy funnel guide for directing ingredients where they're needed. The most important points to me, as an internet shopper is to receive two emails following my purchases; 1- order confirmation 2- Shipment notification You have done both of these and I appreciate it. I also thank you very much for shipping to us Canadians!